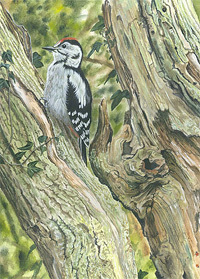 Walked up Weets and saw several Skylarks displaying and singing beautifully, hard to spot them as they fly so high. 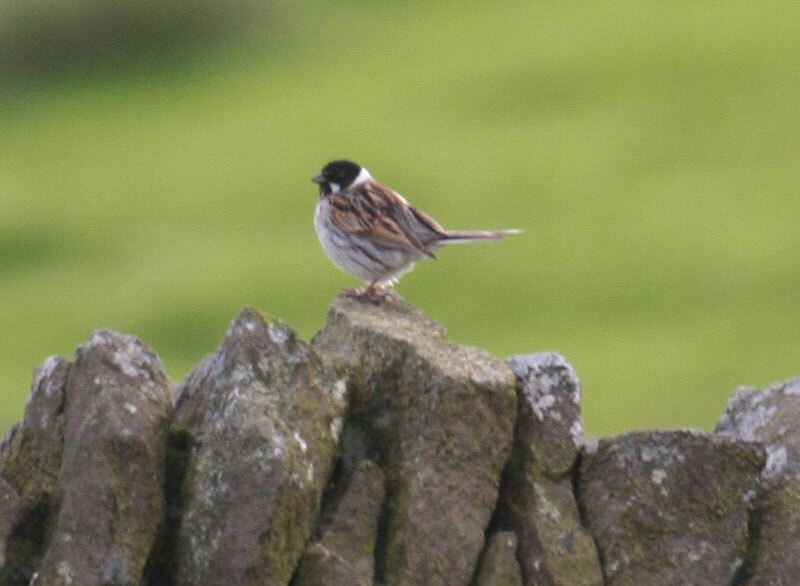 Wheatears and Reed Buntings flitted over the marshy ground and sat on top of the walls to sing. 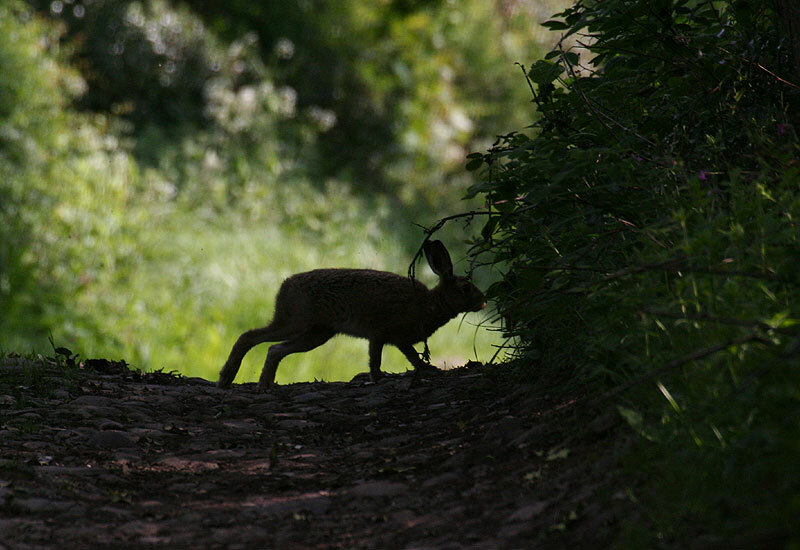 Watched a hare feeding in lane on walk up. 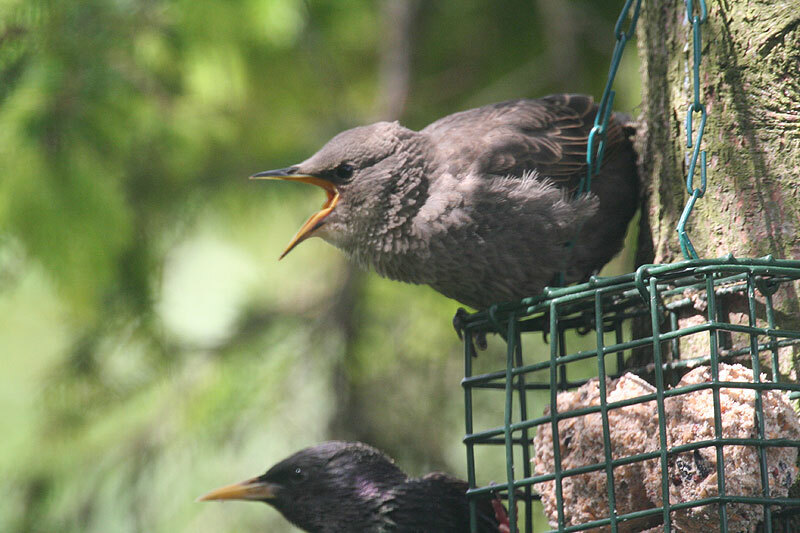 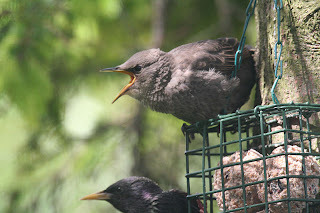 At home we have lots of baby birds being fed in the garden by their harassed looking parents, we are getting through loads of fat balls and bird seed. 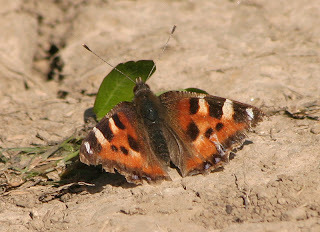 Warm, sunny day, if a bit breezy on Tuesday so went for a walk from Twiston to Downham. 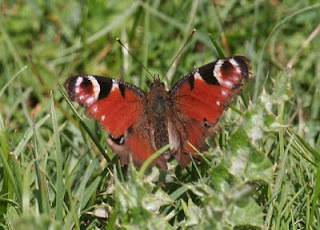 Willow Warblers and Chiffchaffs singing in the trees and wild ramsons, bluebells and red campion flowering. 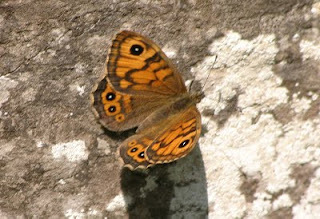 Lots of butterflies sunning themselves on a wall and drinking water or salts off moist stones in damp area. Small Tortoiseshell and Peacock butterflies looked very ragged - but looks aren't everything, they've survived hibernating here. 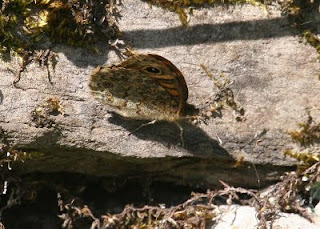 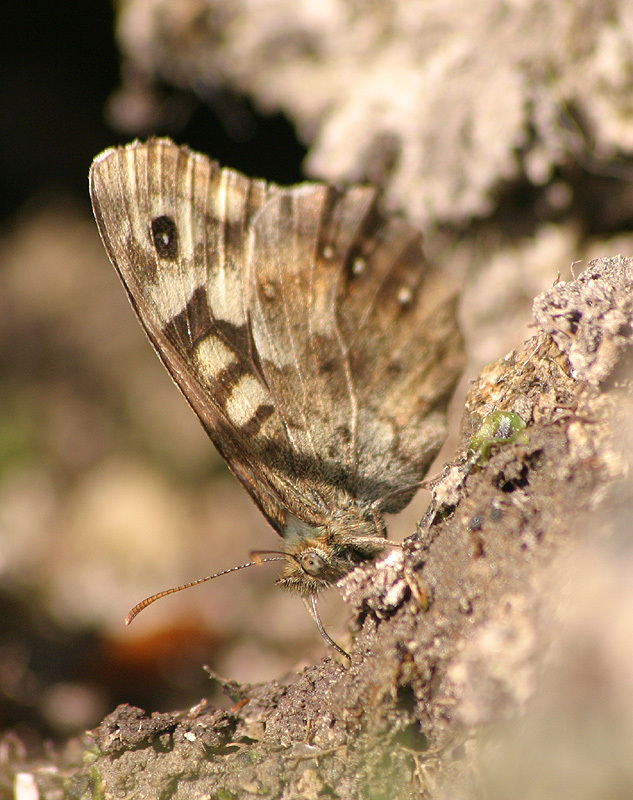 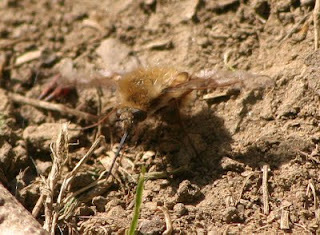 Watched a female Wall Brown sunning itself, beautful cryptic markings on the underside of her wings. Saw a Speckled Wood drinking from a salty patch on the wall. 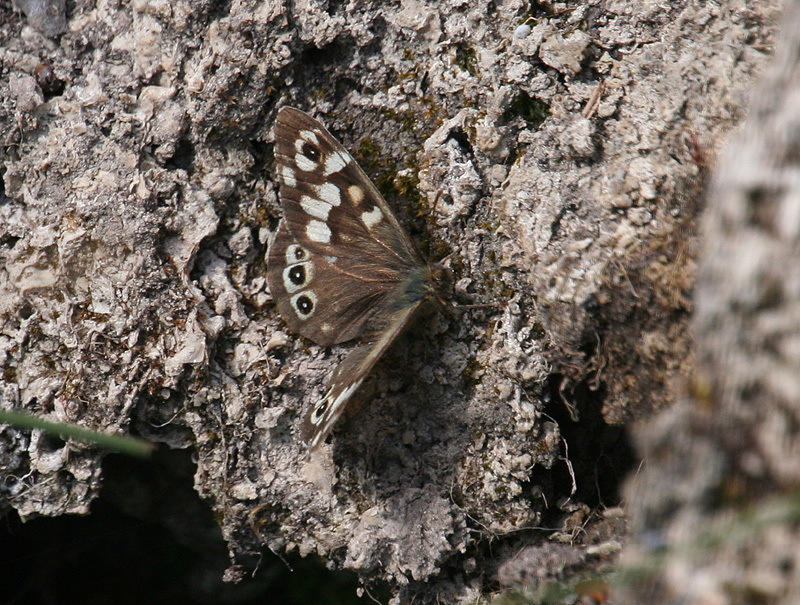 All the butterflies were near a large patch of wild ramsons in full sun.Watched a Bee Fly on a sandy bank wondered if it was a female looking for nests of solitary bees to lay it's eggs in. Wall Brown showing underside of wings. Small Tortoiseshell - A bit worse for wear but alive.